I'm not one to give into hype. There's a reason I don't tend to watch E3 livestreams or many game trailers these days. It usually comes down to overhyping things with pre-rendered cinematics and even slightly doctored gameplay footage. If a game is marketed as being the biggest thing since Skyrim's world map, chances are it won't match the hype when it finally emerges from production. 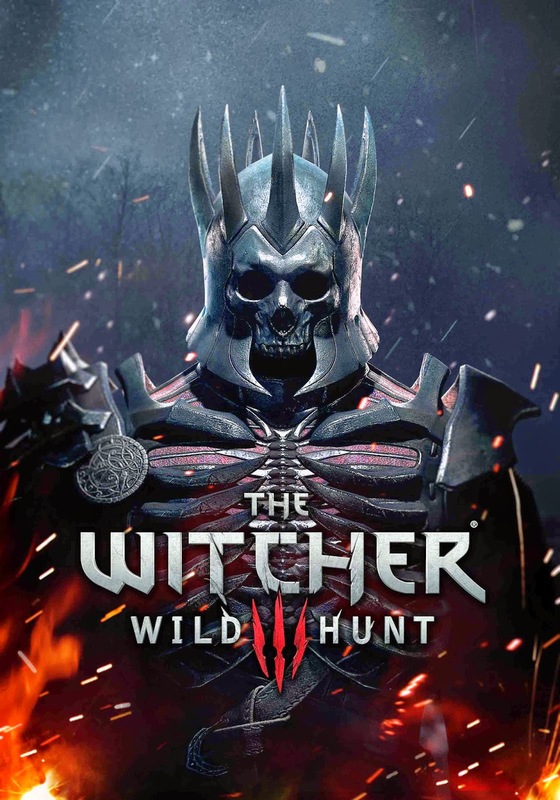 Consider me pleasantly surprised, then, at how much The Witcher 3: Wild Hunt manages to work to earn the reputation it's garnered from the hype. I won't go so far as to say it lives up to that hype, but it certainly is a far cry from most games that see a gulf between expectation and execution. If nothing else, is accomplishes the task of snagging new players quite effortlessly. Either that or I'm just a really easy target for sharply-written fantasy narrative alongside great gameplay. The latter is distinctly possible, given the copies of Dragon Age: Inquisition and Dark Souls II sitting on my shelf. 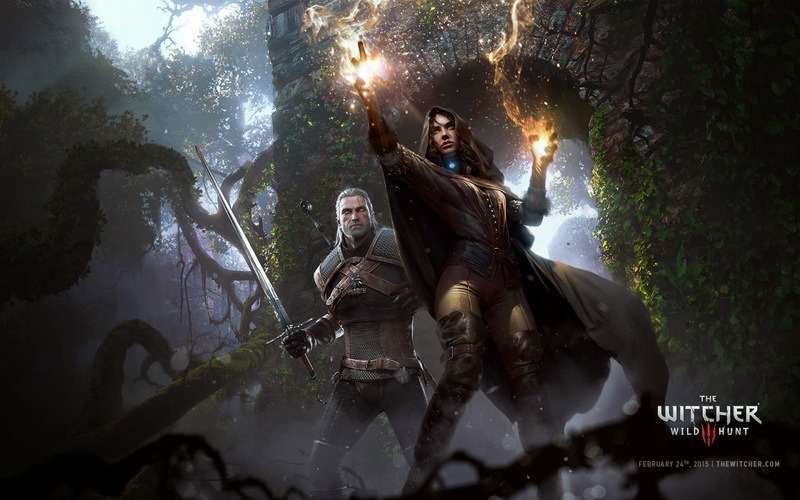 I covered The Witcher 3 as a first impression review back in January, when I was lucky enough to get a crack at the hands-on beta thanks to CD Projekt Red and Bandai Namco Sydney. I'll try to keep this review from becoming a "It's pretty much what I said then, but better" deal, but to be fair, it really is a lot of what I'd already said then, but better. If you're looking for a short answer review as to whether you should play it, I'd come back with a resounding, overwhelming yes. If you haven't read my first impressions post, keep in mind that I am not a Witcher series veteran. 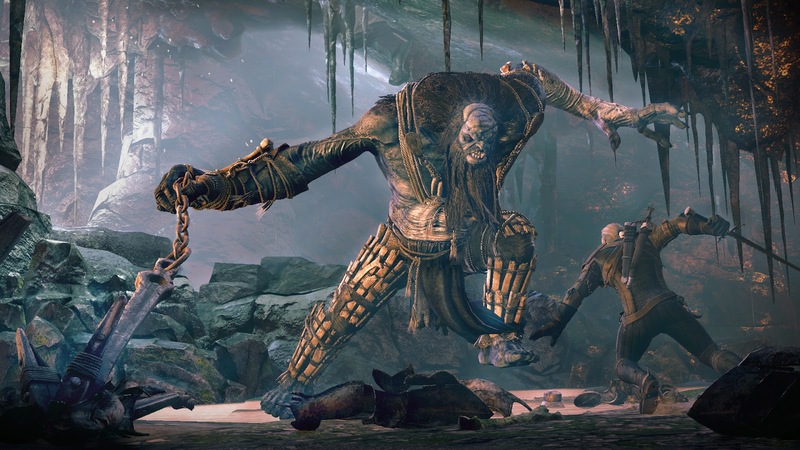 I played a few hours of The Witcher 2 before getting a little fed up with it, and more or less came to The Witcher 3 as a fairly fresh player. To provide context, this review will be approached literally by someone who has limited to no knowledge of the franchise specifics to date. In very broad strokes, this is the end of the grand saga of Geralt of Rivia: Witcher, badass and professional albino. 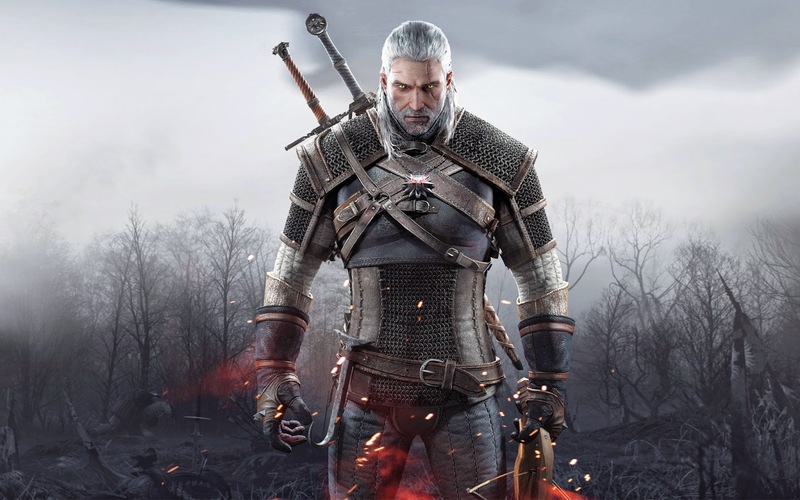 He's on a quest to locate Yennefer, his old sorceress lover, and Ciri, a former ward of his who is being chased by the eponymous Wild Hunt, a trio of gothically-armoured warriors from Norse mythology with a penchant for sharp swords and a "stab first, ask questions later" mentality. Throughout his quest, Geralt comes across threats of civil war, a melange of monster enemies, and the need to harvest enough alchemy herbs to start a one-man potion delivery service (seriously, there is an insane amount of plant harvesting in this game). If, like me, you're a new arrival in these parts, where wild wolves are so suicidal they think it's a good idea to Zerg Rush the armoured monster hunter with a sword the length of a dragon's molar, you might be turned off by the 3 in the title. Rest assured that you shouldn't be; The Witcher 3 is excellent at orienting newbies without either lack of or copious exposition. The opening cinematic deftly sets up part of the premise without dialogue, and the tutorial level taking place in the past also does a great job introducing characters and setting through visual and vocal shorthand. Undoubtedly there will be more here for someone who's slogged through the previous two games, but it doesn't get to the point where casual players might be locked out of the narrative. It might even have worked a little better to simply remove the numeral altogether, especially given how vast the marketing campaign has been. But that aside, it's gratifying that I can get into the story very easily. It's also great that the characters are sharp (even those without swords), well-written and predominantly well-acted. I came to care about characters I'd just met a lot faster than I would in the same time span for something like Game of Thrones, where new characters are introduced every nanosecond. Geralt is a husky-voiced badass, yes, but it's made immediately apparent that he's a lot more empathetic and kindly-minded than his gruff, coarse exterior may suggest. I don't know if he can even really exist under the "anti-hero" label most fantasy protagonists seem to be attributed to these days; unless you go out of your way to insult NPCs or steal every loose object in their houses, there's not really a lot of "anti" to his heroics. 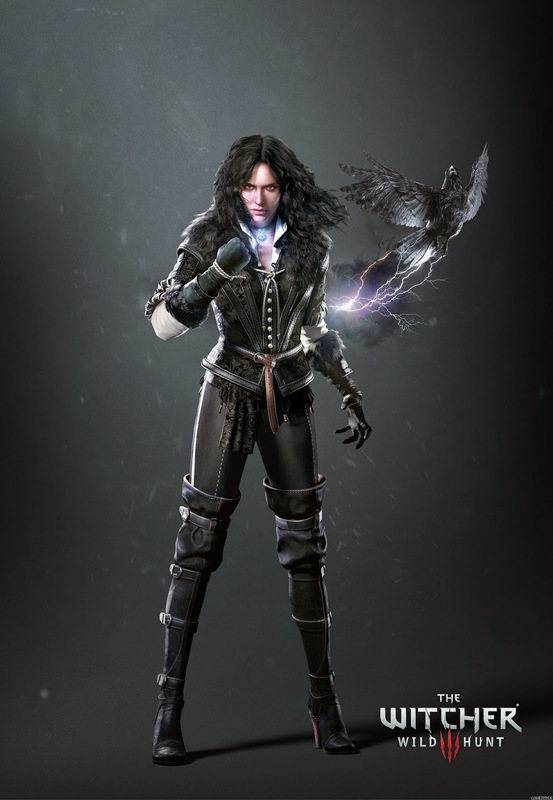 On the subject of characters, The Witcher 3 is an expert at unveiling layers. As with Geralt above, there are several characters - some of them only existing for a solitary sidequest - who have more to them than appears at first blush. A questline involving a jovial, Robert Baratheon-esque ruler and his missing daughter takes a sharp turn into a heartbreaking family drama that frames itself in a way I didn't see coming. A seemingly standard sidequest to take down a werewolf turns into a brief but effective exploration of marital issues and looking beyond someone's appearance. A herbalist who appears aloof and standoffish to Geralt, at first, ends up having a very good reason to be so. In this game, a lot of elements can't be judged just on the surface layer. The nuance really is to the game's credit, and it prompted me to actively question quests and characters as I experienced both. I like a game that doesn't have two-dimensional characters and plots that are telegraphed from the get-go. The worldbuilding is also quite well realised. The regions I visited were distinct from each other, ranging from hinterlands to boggy marshlands to a frozen isle, and had a variety of smaller locations within each larger world map to explore. I never felt bored reading letters at the various towns' Notice Boards, that expanded the world and some of the unseen characters who inhabit it. This definitely feels like a place where people live, not just exist for the sake of passing adventurers. Finally, what would an RPG be without choice impacting the region? 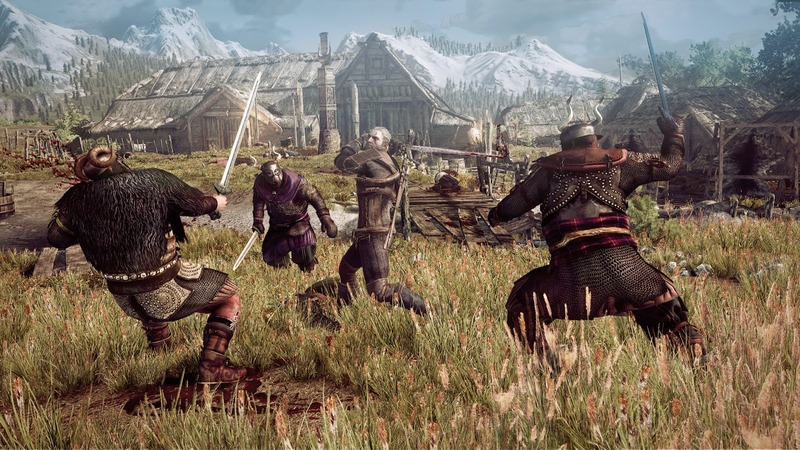 A lot of decisions Geralt makes - kill or spare a character, side with a particular faction - will resonate with the locals, showing real effect from even the tiniest choices. There's also the "dynamic beard" system, where Geralt's facial fuzz will regrow in parts over time after being shaved. Apparently this comes with a special DLC after launch, but I still noticed parts of it after being shaved before meeting the Emperor, then spending days afterwards trekking in the wilderness becoming hairier and grizzlier. ...it is. What, you thought it wasn't going to be as good as my glowing review of the combat and movement mechanics back in January? One of my biggest problems with The Witcher 2 was the overcomplexity of controls for simple things like attacking or equipping items (I hear The Witcher 1 is even more irritating in this regard for some), probably not helped by the fact I was using a console over a PC. It felt clunky, and threw me out of the world. 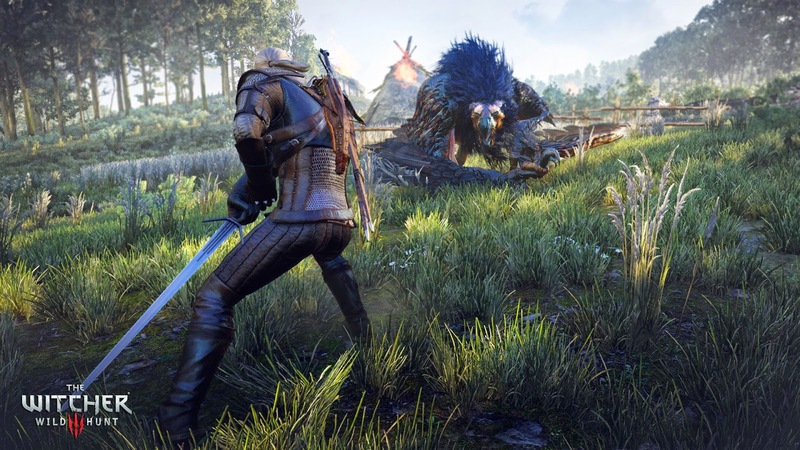 Thankfully, The Witcher 3 has smoother, streamlined controls and a much easier interface to get things done. I did have problems in January with some attack commands not registering, and with Geralt's Red Dead Redemption-esque drunken turning circle when on foot, and these problems have all be licked and fixed accordingly. Combat is easy to learn and excellent to customise for play styles; will you be quick on your feet, a fan of heavier attacks, or a ranged fighter with bombs and crossbow? The leveling-up system is also fairly intuitive and handles well, with a variety of schools similar to the Far Cry XP system that can each be given points for different specialties and abilities. grinding. Wild creatures found in the world give paltry XP when killed (with wolves, who tore me to pieces in January, only giving 2 XP a pop when they fall to Geralt's sword), and the range of experience delivered through sidequests varies almost a little unfairly. An involved quest to solve the murder of a horse caravan driver, and take on the swamp creatures who've arrived near his corpse, rewards less than a quest that just involves brewing a potion for a sickly young woman. It's not a deal-breaker, but it definitely encourages you to take the extra effort and go through the world's little corners rather than speeding through the main questline. The other major addition to gameplay is Gwent, a card game evoking a mashup of Risk and Triple Triad from Final Fantasy VIII. Nearly every character in the game has a deck, some with powerful cards yielding greater rewards if you beat them. This is the kind of in-depth minigame that, reportedly, some beta players have already sunk dozens of hours into alone. If you have the inclination to get used to the rules and give it a go, it's a fun little addition to an already-packed cornucopia of gameplay. Plus, as with Triple Triad, it's always as gratifying as killing a high-level dragon when you beat a major character's impossibly strong deck. Yay for accomplishment! Let's not mince words. The Witcher 3 is very, very pretty. 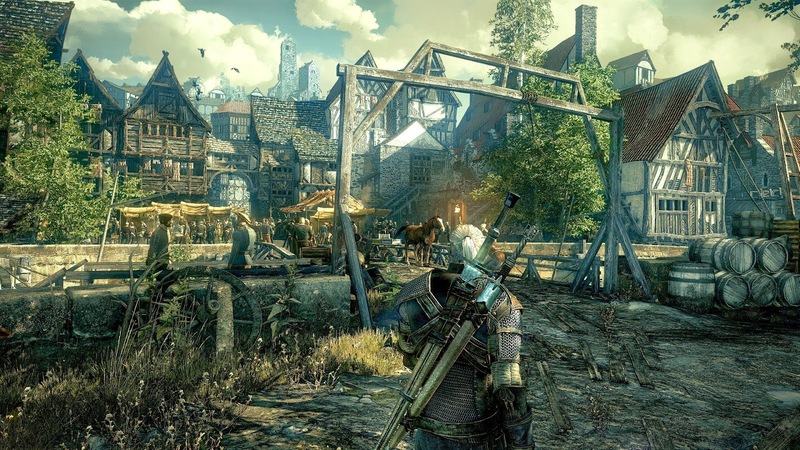 The game is built on the REDEngine 3 engine, and manages seamless moving from one part of the world map to the other similar to Skyrim and Dark Souls. Loading times between cutscenes and fast-travel transitions are also fairly brief. This is the kind of loading eschewing that more next-gen games need to get into the action quicker. All that super-fast next-gen loading times mean you get to see some truly gorgeous virtual vistas across the world. It's obvious the developers have really taken their time putting everything together, creating a landscape that is so lifelike one wonders whether they motion-captured some actual hills and mountains somehow. The environment is also aided as a lived-in place through random weather effects and a day/night system, making the whole experience that much more authentic. Character visuals are also outstanding. Every face on every character, no matter how minor, looks like it was individually mo-capped and has expression. Little elements like armour and hair moving are nice touches, with the later also getting permanent slashes or stitched holes after lots of combat. Very little about the characters and the world the live in feel static or "gamelike"; this really does feel like a real place, inhabited by real people. I mentioned this a lot back in January, but The Witcher 3 has probably the best sound design of any game I've ever played. This isn't so much in relation to the voice actors, who definitely acquit themselves well and seem to really get into the characters they play (particularly a great turn as a nasty emperor from Game of Thrones's Charles Dance). This also doesn't so much refer to the music, which is handled skillfully by Marcin Przybylowicz and creates a fitting fantasy atmosphere to the proceedings. No, where The Witcher 3's sound really captured me was in the environment and ambient noises. It feels like every footstep, every tree moving, every wolf howling and every sword unsheathing is a unique sound. 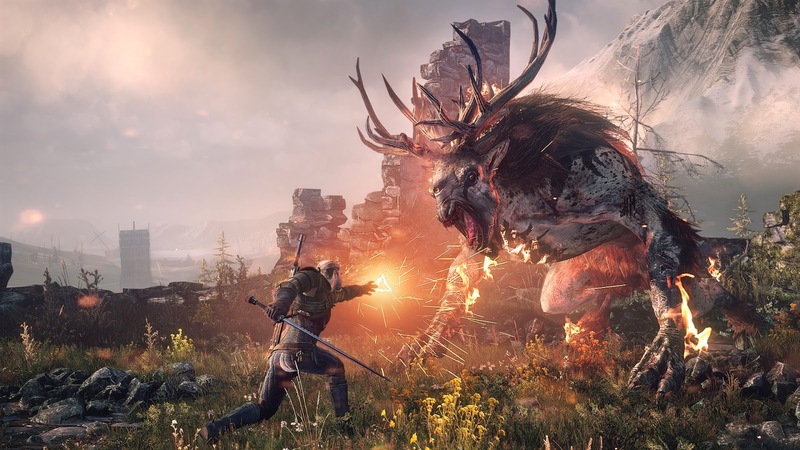 Little noises like branches creaking in the wind or house foundations settling at night go great alongside the broader sound design for battle, horse galloping and that horrible noise whenever a wolf takes a bite out of Geralt. I really can't stress enough how great The Witcher 3's soundscape is; I remember raving about it to the CD Projekt Red developers during the January beta, and it feels like it's only been enhanced since then. Seriously, get yourself a good pair of headphones, turn the lights off, and let the sounds combined with the visual draw you into a living, breathing world. Oh, and sometimes guards make farting noises and then laugh at them. So there's also that. The Witcher 3 is, in a word, sublime. One of the most gorgeous, well-acted, aurally magnificent, smoothly played and engrossing fantasy games I've played in recent memory. I wouldn't necessarily say to "believe the hype" that all the ads are stoking like a fire in a bellows, but they're not wrong when they trumpet it as a great game. It really is, and you should really play it. I'd like to offers big thanks to the good folks at Bandai Namco Sydney, for letting me come along again and play the game for this review. 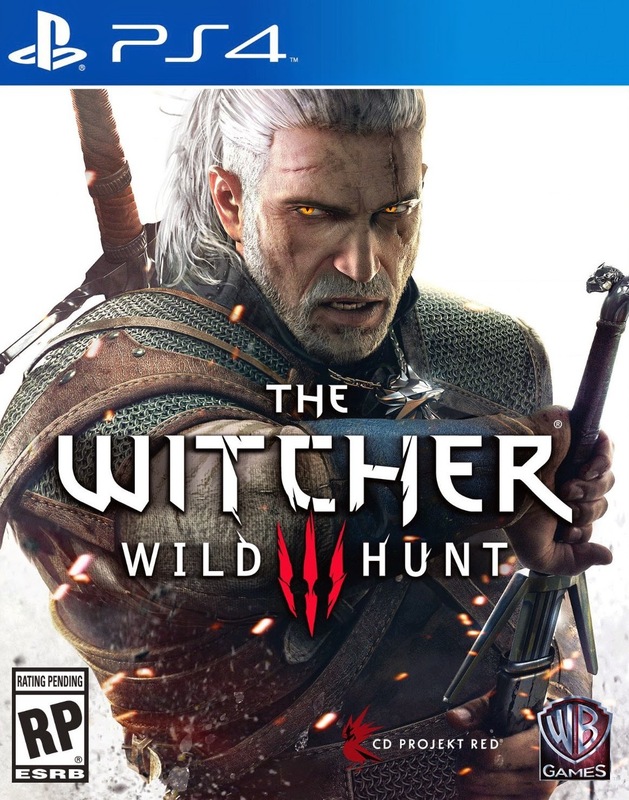 The Witcher 3: Wild Hunt is available May 19, on PC, Xbox One and Playstation 4. My God - what a boring 'game'. I'm a couple of hours in and, whilst it looks lovely, the gameplay itself seems to consists of little more than moving your character from glacially moving drawn-out cut-scene to glacially moving drawn-out cut-scene, occasionally being called upon to roll around and thrash your sword wildly and repeatedly in any direction what-so-ever in order to successfully mow down opponents. Is this what we have become brainwashed into thinking is a 'great' game now-a-days? It really isn't. It's more of an interactive, very slow moving, animated movie - a very boring one. Great review! 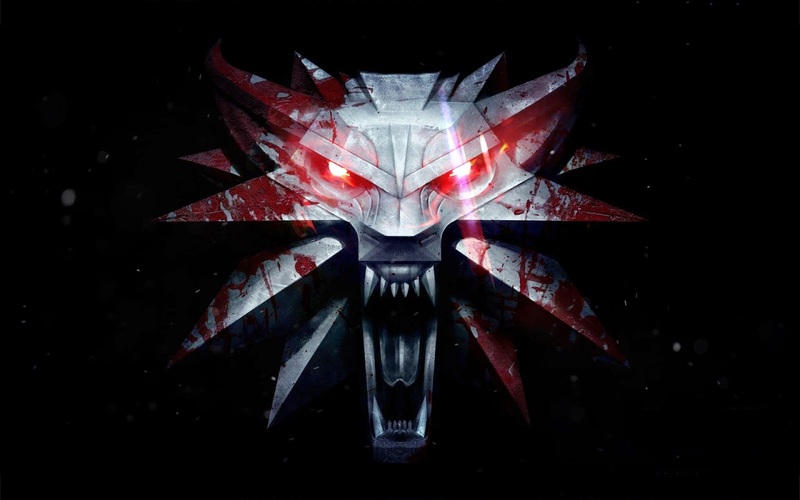 The Witcher 3 takes some time to get into. I'm at 56 hours now and the game is just getting better and better. It's a one-of-a-kind masterpiece!